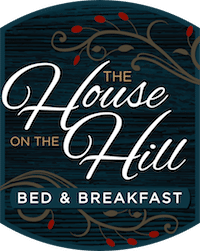 We bought The House on the Hill Bed & Breakfast in 2009 to fulfill a dream of owning our own business and living out our active lifestyle in beautiful Northern Michigan. Bringing into realization the ability to offer unsurpassed hospitality services to others and to share our love for this area. Coming from the Metro Detroit area, we have had a long history of vacationing in Northern Michigan our entire lives. This has helped strengthen our knowledge of the area which we pass on to our guests. Marci has been able to fulfill her dream in the culinary arts by offering a three-course gourmet breakfast each morning. Phillip has been able to use his Doctorate of Business Degree to set the cadence of the business development for The House on the Hill. Together we welcome you to a memorable and relaxing vacation experience! Enjoy our land, lake and food.